However, as I also noted, I tempered that increase in equity increase with interest-rate sensitive exposure. This exposure will act as a hedge against a sudden reversal in rates, and the dollar, as economic realities eventually collide with the “Trump rally” fantasy. First, despite all of the media chatter of the markets hitting “all-time highs,” such lofty attainment has not been uniform across markets and sectors. As shown in the charts below, relative performance has been bifurcated between domestic and international exposure. As such, any portfolio which has been “diversified” in recent weeks has lost ground to the broad market domestic indices. So, despite all of the rhetoric about the benefits of “indexing,” such has not worked given the recent state of the markets. However, in the short-term, there are bullish arguments to certainly be made for the market. We are entering into the “seasonally strong” period of the year which typically generates the bulk of returns for stocks. Such an outlook is certainly encouraging, but there is a long way to go between President-elect taking office, drafting bills and getting them passed. There is even a further period of time before any actions actually passed by the Trump administration actually create perceivable effects within the broader economy. In the meantime, there are many concerns, from a technical perspective, that must be recognized within the current market environment. First, the market has moved from extremely oversold conditions to extremely overbought in a very short period. This is the first time, within the last three years, the markets have pushed a 3-standard deviation move from the 50-day moving average. Such a move is not sustainable and a correction to resolve this extreme deviation will occur before a further advance can be mounted. Currently, a pullback to the 50-day moving average, if not the 200-dma, would be most likely. Secondly, as discussed above, the advance to “all-time highs” has been narrowly defined to only a few sectors. As shown the number of stocks participating, while improved from the pre-election lows, remains relatively weak and does not suggest a healthy advance. As with the discussion of the 3-standard deviation of the market above, the current deviation from the long-term average is also consistently with a late stage move that will need to be corrected. As discussed many times previously, a moving average only exists at a point where previous prices have traded both above, and below, certain levels. Therefore, moving averages exert a “gravitational force” on prices which grows in strength as prices deviate further away from the average. As shown below, despite beliefs that prices can only move higher, there is an extreme regularity of “reversions back to the mean” over time. Currently, with prices pushing a 5% deviation from the longer-term average, it is only a function of time until a reversion occurs back to, if not beyond, the 200-dma which currently resides around 2105. As shown below the current put/call ratio has quickly reverted to levels that have historically been associated with at least short-term market peaks as well as major market corrections. As shown in the last chart below, whenever LIBOR, and the 10-year rate has increased, it has led to an economic, currency or market-related shock. These shocks have tended to negatively impact investors on both a short and intermediate-term basis. 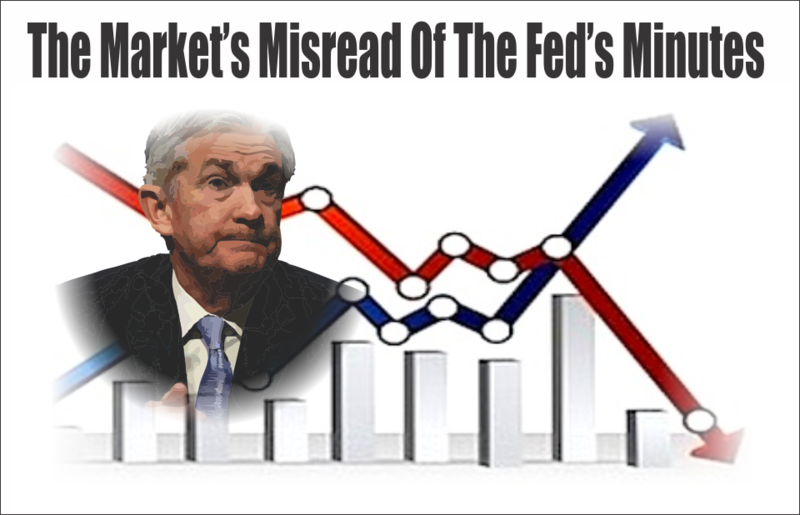 While such an event has not occurred as of yet, it does not mean the impact of a strong dollar and higher rates should be summarily dismissed. The negative impacts to both corporate earnings, as well as economic forecasts, can quickly spoil the “bull market party” particularly given the level of valuations that currently exist. “Importantly, with next week (Thanksgiving) being a light trading week, it would not be surprising to see markets drift higher. I still expect such could very well be the case with a “Santa Claus” rally into the end of the year as fund managers scramble to add performance before the year-end reporting period comes to an end. This would certainly coincide with the “hope” that investors have currently built into the market during the recent advance. “The greatest streak of stock market gains in almost 28 years may have some wondering if it is sustainable, but, according to AAII, this objective spike in valuations following Donald Trump’s victory has sparked overwhelming bullishness among investors. This analysis does not necessarily suggest a major market crash is imminent. However, it also does not suggest a major advance directly to 2400 is in the offing either. The point to be made is the risk of a corrective action, which could provide a buying opportunity provided important support levels hold, is likely in the short term. Given that most individuals have not even gotten “back to even,” given the drag from interest rate sensitive investments, this may be a good opportunity to rethink allocations and make some decisions about the inherent level of risk in portfolios. In other words, if you are supposed to “sell high,” and “buy low,” there are certainly many short-term indications which suggest this may be an apropos opportunity to take some profits and rebalance risks accordingly. Or, you can just “hope” it will all turn out okay. Technically Speaking: There Is No Asset Bubble?